What job do you do and what do you love about it? 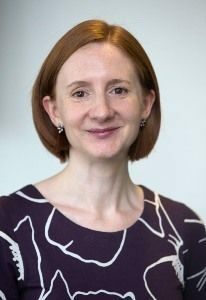 As Corporate Policy and Regulation Director for EDF Energy, my role is to monitor what’s happening in energy policy and regulation, to engage with Government and others to help shape policy developments, and to help my colleagues across the business understand and prepare for changes. I deal with issues as diverse as the price cap, smart meters, supporting our renewables business and existing coal, gas and nuclear stations, and the new nuclear projects at Hinkley Point and Sizewell. I also manage all EDF Energy’s work on Brexit – quite a challenge at the moment! One of the things I love about my job is it’s so varied. I spend a lot of time in meetings with Government officials and industry people and represent EDF Energy at external events – I particularly enjoyed appearing before Parliamentary Select Committees on Brexit last year. Whenever I have a chance I like to get out to see some of our operational sites, like our call centres and power stations. Tell us a bit about your background and your career path. I studied Classics at university – not an obvious background for someone in energy! After university I joined the civil service, in what was then the Department for Trade and Industry. I enjoyed my time in the centre of Government, doing a wide variety of jobs, including working on employment and energy policy, representing the UK in European negotiations, and being Private Secretary to a Cabinet Minister. Ten years ago, I moved to EDF Energy, initially in the Nuclear New Build team, getting planning permission for Hinkley Point C, and then leading the development of the Sizewell C project. When the company’s Policy Director retired, my background in Government made me ideally placed to take on the role, bringing me full circle back to policy but this time in the corporate sector. What has been your personal experience of climbing the career ladder? My career has been an interesting non-linear one – I have never really planned it. But I have been good at making and taking opportunities, including through developing a wide network of contacts. Looking back, I spent too much time early on choosing job moves based on all the skills I thought I needed to gain. Then I reached a point where I decided I would only take on roles I’d enjoy, roles that played to my strengths, but where I could also feel I was stretching myself. One of the biggest challenges many women face – me included – is lack of self-confidence in putting ourselves forward. I’ve observed men around me talking very naturally about their successes, and I’ve got better at doing the same in a way that feels comfortable for me. In terms of bias, my own experience of the energy industry has been very positive. When I hear nightmare stories about the experiences of women in certain male-dominated industries, I contrast it with mine in energy where I’ve always been treated with professionalism and respect. When I worked in nuclear new build, I was managing a large team of mostly male planners and engineers, and experienced no problems. I had two spells of maternity leave and managed to juggle public meetings and media interviews with looking after a small baby. Absolutely I’ve had failures along the way! There are plenty of days when I kick myself for something I could have done better. But I try always to focus on what I’ve learnt for the future. What kind of support have you found helpful in advancing your career? I remember the day I was asked to lead the Sizewell C project. If I’d seen a job description, I would never have thought I could do it – but being asked gave me confidence, and I knew the people around me would support me to make a success of it. It turned out to be one of the most rewarding jobs I’ve done. I also remember the first senior woman I worked for in the civil service – and the difference it made being able to look ahead and think: well if she can do it, I can too. So I’m hugely grateful to the people who’ve had confidence in me and given me some great opportunities. I’ve benefited from both informal and formal mentoring, including through POWERfulWomen. It’s hugely valuable to get advice and perspectives from people outside the company and I’ve learned to be better at asking for help – both in doing my job and furthering my career. Most people are absolutely delighted if you reach out to them. What advice would you give to aspiring women in the energy sector? Have confidence in yourself – draw strength from your successes, and have a positive attitude to learning when things don’t turn out as planned. Take some risks – be willing to stretch and challenge yourself – and occasionally to do some things you may find downright scary! Don’t be afraid to ask for help – and invest time in the relationships that give you strength, energy and ideas. What are your views on the current state of play regarding gender diversity in the UK energy sector? Honestly, I think it should get a lot more attention. When I look at figures for the gender pay gap in the industry, I always wonder how I’d explain to my 8 year-old daughter that if she worked in the sector, on average she’d be paid quite a bit less than the men around her. We need a pipeline of women coming into the industry, and being supported to reach higher positions, if those numbers are ever going to change. Gender diversity matters because, without it, our sector is missing out on great talent, and women are missing out on great opportunities. I can remember the first time I went into a nuclear power station 25 years ago on work experience and the only women I saw were on calendars displayed on the walls. It sent a strong signal to me that it wasn’t a working environment I would feel comfortable in. Thankfully those days are long gone. The sector is more diverse. EDF Energy is very proactive, with outreach work in schools, positive recruitment practices, tackling unconscious bias, and a strong Women’s Network. I feel strongly that women in the industry should support and encourage one another. I feel particularly proud when I see the women working on our construction site at Hinkley Point C. But there is undoubtedly a lot more to do. Angela is already one of our amazing mentors. If Angela story resonates with you and you would like to enquire about being mentored by her when an opportunity becomes available, complete the application form here, mentioning your interest in Angela Hepworth as a potential mentor.